Sine on Random Application Testing What is Sine on Random testing and when should I use this testing method in place of, or in addition to, either Sine or Random? You may have asked yourself this in the past. The answers are quite simple. the sinusoidal vibration is minimal and is less important to the overall test. In other cases the sinusoidal vibration that affects the device you will be testing has an impact on the underlying background random, and should be recognized as an important part of the test procedure. The sine tones which are superimposed on the random profile in a Sine on Random test can be fixed frequency or sweeping depending on the most common in-service experience. If sweeping tones are used they are often narrow frequency sweeps at approximately +/- 5% of the center frequency. All aircraft, whether fixed wing, rotor or rocket propelled, have a base random energy inherent when in service. In addition there is also a sinusoidal element present that cannot be ignored when testing. The sinusoidal vibration typically comes from the turbine engine or rotor blade and is present at various frequencies. Most of the components in an aircraft will benefit from mixed mode testing. Instruments, connectors, batteries and other common components of aircraft are all subject to both sinusoidal and random vibrations simultaneously, and are subject to failure from these vibrations. For this reason Sine on Random is the best application for testing components in many aerospace applications. A common and extremely harsh application of Sine on Random testing is the helicopter gunfire test. The helicopter is subject to a common random vibration, but when gunfire is introduced, a very noticeable high g sinusoidal vibration is infused into the environment. Devices that have only been tested using one method or the other may at first appear to be able to withstand this new environment created by gunfire from a helicopter. Since the Sine on Random testing method better represents the real world conditions, this would always be the preferred test procedure. So how do you establish the correct profile to run on your shaker? There are two common methods to consider in establishing your test profile. The first is to run the requirement as spelled out in the MIL-STD-810G specifications. The MIL standards are applicable and easy to use whether the device under test is to be used in a military or civilian application. In addition, many of the test articles are the same, or similar, whether used in a military or civilian environment. The second common method for determining your Sine on Random profile is to record field data, and by using a variety of analysis tools you can establish the test characteristics required to create an applicable test profile. This second method is more complex and the analysis requires substantial tools and skills. he measurement of real world vehicle emissions is now used to augment emissions measurement by standard laboratory cycle tests for vehicle and engine development. For both light and heavy-duty vehicles, Euro emissions standards require verified measurements to comply with proscribed limits. HORIBA presents its latest on-board emissions measurement system, OBS-ONE, for both certification and R&D under realworld driving conditions. The compact OBS-ONE is a purpose-designed system allowing measurement of exhaust emissions in a considerably expanded operating range and with improved calibration options. OBS-ONE is easy to install in any vehicle and requires up to 50 percent less energy compared with its predecessor. The modular design of the OBS-ONE comprises a controller, two analyzers, a battery and an exhaust flow meter using pitot tube. OBS-ONE features a gas analyzer unit for CO, CO2, NO, NOx and NO2 (by subtraction). Optionally, an analyzer for THC based on a flame ionization detector (FID) can be added, at any time, enabling determination of total hydrocarbons. The system ensures accurate measurement even under challenging environmental conditions. Batteries can be simply changed during operation and ensure stable operation over long driving distances. Additionally, adjustable post-test data processing and the generation of test reports is possible. Furthermore, OBS-ONE offers comprehensive data protection functions. HORIBA plan to expand OBSONE with particulate mass measurement (PM) and particle number (PN) counting in the near future. In terms of software, OBS-ONE features the highly adaptable and newly developed HORIBA ONE PLATFORM. This comprehensive and intuitive solution serves to operate and control the system. If required, OBS-ONE can be integrated, on a single display unit, with other measurement devices from HORIBA such as MEXA-ONE or CVSONE. Mercedes-Benz is teaching autonomous cars how to speak Stuttgart/Berlin. Mercedes-Benz, robotics experts and linguists discuss how people can communicate with autonomous vehicles in the future. Traffic in the city of the future will be largely dominated by cars that drive themselves. Beyond the technical and legal aspects, the automotive manufacturer is therefore looking very closely at social issues in this context. Communication between people and machine intelligence is a key aspect here. he fact that cars are able to perform more and more tasks autonomously, meaning that they are gradually becoming mobile robots, is now beyond dispute. This will not just lead to changes in motoring itself, however; traffic conditions on the whole will change, too. This is why Mercedes-Benz looks at much more than just the technical issues when developing autonomous cars. Company representatives from the Group Research and Futurology department therefore met with robotics research experts and linguists to discuss the key issues at the second Mercedes-Benz Future Talk: How will we communicate with autonomous cars in the future? Can an autonomous car “wave” a pedestrian over the road? Is the car speaking to me or to the person next to me? And what does “speaking” even mean in this context? Will we have to learn robot grammar or must the car be able to understand us? And how can this language be developed? Should it be intuitive or artificial? The in-depth discussions between all those attending the Mercedes-Benz Future Talk “Robotics” revealed that there are still many unanswered questions in the field of human-machine interaction. It became clear that robots are much more than humanoids with a human-like appearance or figures from science-fiction films. This is also substantiated by Martina Mara, who conducts research into the psychology of human-robot relationships at Ars Electronica Futurelab: “The tin man, or synthetic human-machine, may be the image we have in our mind when we hear the word ‘robot’. In the case of real robots away from the cinema screen, however, there is often only limited acceptance if there are too many similarities with humans.” According to Mara, it is more important to make it clear as quickly as possible just how intelligent a robot is, which forms of communication it can master and how it signals what its next steps will be. 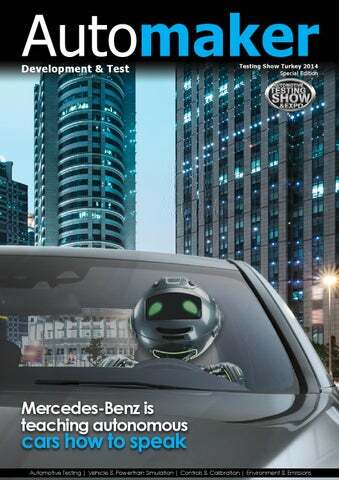 Alexander Mankowsky, a futurologist at Daimler AG, added: “We see the car that drives itself - the autonomous robot - embedded in the overall picture of future mobility, with humans playing the main role in our vision of the future. The task is to develop a cooperative system in which one or more communication languages are essential to allow interaction between humans and machine intelligence in the dense urban environment.” He also thinks that there may even be a robot-language dictionary in the future. According to Mankowsky, calling for people to adapt to the machines should not be the aim by any means in any of the deliberations. It is much more a case of building trust and confidence as human-machine communication gets more and more intensive. On an everyday level, communication with autonomous vehicles is still new territory. This is why Mercedes-Benz joined forces with Ars Electronica Futurelab to create an “experimentation field” capable of testing various forms of interaction between humans and kinetic robots using prototypes. In a test setting, three interactive quadcopters were hailed, stopped or steered in a certain direction using gesture control or a haptic control object, for instance. This gave an initial idea of what co-existence between humans and autonomous machines could feel like in the shared space of the future. Mercedes-Benz is convinced that what seems a long way off can quickly become a reality, believing that it is essential to develop a shared interaction language to enable functioning social “human-machine cooperation” in the traffic of the future. The automotive manufacturer will continue to work towards this goal. Mercedes-Benz Future Talk - interdisciplinary dialogue The Future Talk introduced last year by Mercedes-Benz established a new dialogue format and asked the question “How Utopian is the future?”. By exchanging ideas with vanguards from various disciplines, the brand shares its visions and, as the inventor of the automobile, demonstrates its expertise in shaping a desirable, mobile future. A&D Technology provides advanced test and simulation solutions for alternative energy, hybrid and conventional powertrain development, and vehicle development. Our open, flexible and cost-effective tools are designed to fit a wide variety of applications, from durability and performance Hardware-in-the-Loop (HiL) simulation to hybrid/electric vehicle and battery test systems. AVL is the world’s largest independent company for the development of powertrain systems with internal combustion engines, as well as instrumentation and test systems. AVL acts in the following business areas: Development of Powertrain Systems AVL develops and markets all kinds of powertrain systems, and is a competent partner to the engine and automotive industry. Simulation In addition, AVL develops and markets simulation methods necessary for development work. Engine Instrumentation and Test Systems The products of this business area comprise all the instruments and systems required for engine and vehicle testing. Bias Engineering, has completed many engineering projects in many different fields, especially in automotive, defense, white goods and manufacturing industries, successfully since 1997. The engineering studies have not only been limited to the simulation and design on the computer, but also, the field tests have been done to validate the designs. In addition to engineering services, Bias also makes designs for customised test systems and special machines for clients and itself, and then manufactures them in its prototype workshops. Our aim is to be a sub-contractor engineering company for R&D studies of the companies and to contribute their product development phases with our know-how. Bursa Technical University has defined its vision as “to become a global university that produces knowledge, technology, social and artistic value and transform these values into useable values” and parallel to this vision gives prominence to all its patterns (students, academic staff and industrial management etc). Therefore our academicians are choosing their topics and fields of study so that it meets the needs of Turkish industry and in particular the needs of automotive and other industrialists in Bursa. Joint projects and internship programs are carried out together with partners from the industry. All the laboratories are equipped with advanced devices to serve the industry. Cambustion’s Engineering Services Group provides powertrain testing and development services to the automotive industry, focusing on the testing and development of vehicle emissions systems. High specification engine and vehicle test facilities with comprehensive instrumentation provide an excellent platform for rapid development. Cambustion’s highly qualified engineers have extensive experience in a wide range of emissions related projects. dBKES Ltd. Co., was founded in Istanbul at September 2000 concentrating on Acoustics and Vibration control for various industries including automotive, military, construction, health and education. Our firm is solely professional in vibration measurements via Polytec’s laser systems, predictive maintenance and monitoring / detections via 01dB Acoem’s acquisition systems & softwares, sound capturing via GRAS microphones and CTC accelerometers. Founded in 1995, DONGLING Technologies is a top supplier of environmental and reliability testing solutions. Relying on extraordinary quality & innovation, DONGLING has created its reputation as a leading supplier in the global market. The product portfolio covers Vibration test system, Shock / bump test system, Constant Acceleration Centrifuge, Drop Test System, Swing / transportation simulation test system, Measuring Instruments and 3rd party testing services. DONGLING Technologies is the State Engineering Technology research institute for dynamic environmental test, strategically partner of national manned space flight projects, and the innovation practice base for post-doctors. In 2008 DONGLING Technologies finished its new industry park which covers 35,000 square meters with the building area 20,400 square meters. Till now we have more than 350 employees, 1/3 of which are researchers. DONGLING Technologies is a global company. We operate through a network of sales offices and representatives in more than 40 countries. Our systems enable you to reduce development times and costs dramatically when you design ECUs and controllers, which systematically increases your productivity. The reason is our optimal mix of standard solutions for rapid control prototyping, automatic production code generation, hardware-in-the-loop simulation, and ECU calibration. There are 1,200 dSPACE employees worldwide. dSPACE systems are distributed by the headquarters in Paderborn, subsidiaries in the USA, France, the UK, Japan, and in China. Since its founding, Dytran has built a solid 30+ year industry reputation for trusted, field proven experience in the design and manufacture of sensors for dynamic testing. Today, Dytran is adapting new sensor technologies to broaden the product line and to better serve our customers across the dynamic measurement spectrum. Single axis and triaxial DC MEMS style accelerometers utilizing state-of-the-art variable capacitance accelerometer sensing elements, combined with our industry-leading packaging expertise, are enabling a wave of new product development. Dytran engineers, working together with our customers to meet new sensing challenges, are generating innovative, reliable solutions for today’s toughest applications, just as we have been doing since 1980. We look forward to serving you! Eksen Muhendislik Test and Simulation Ltd. Sti. (EKSEN) was established by transforming sales department of Bias, established in 1997, leader engineering company in Turkey as a new formation. EKSEN is using all of FEA and CFD softwares (as MSC.Nastran, Adams, FloEfd) which it sells commonly in automotive, defense, machinery, manufacturing industries as well as universities. For HVAC sector, Eksen resells thermal comfort measuring systems of Dantec Dynamics and CFD products of Mentor Graphics. Range of products, including sensors, analyser and data loggers, which sold by Eksen meet the requirements of related industries. Since 1994 we have been 100% dedicated to developing and manufacturing high-quality measurement microphones and related acoustic equipment that is distributed by a worldwide partner network. From our heritage derives the program of standards, specials and customized solutions. Standards. Our base program of measurement microphones and related acoustic equipment suited for most needs. Specials. Slight modifications to the base program solutions fulfill the more advanced needs. Customized. Solutions built to match particular needs that cannot be completed by G.R.A.S. Standards or Specials. Having succeeded in more than a hundred development projects in design and engineering, such as New York Taxi and hybrid diesel-electric bus, since its foundation in 2005, Hexagon Studio takes justified pride of being a long-term solution partner for its industry stakeholders. We provide turnkey engineering solutions to the industry by utilizing unique technological approaches in response to challenging demands and requirements from its customers. Hexagon Studio took full advantage of its past experiences and technological know-how in transport projects to create unique solutions in railway transport projects also. Thus, we are now working on the conceptual design of the National High Speed Train project that would be a major milestone in the national train project. Finally, we take full advantage of our integrated infrastructure for prototype manufacturing and design validation/verification both at laboratory level and on-road vehicle testing in our product development process for the benefit of our stakeholders. IMV Europe is installing a multi axis vibration Test system in Munich, book to test your products! Global trends in reliability testing and moving towards more accurate, realistic testing. Consequently multi axis, multipoint vibration is required to closely replicate characteristics from actual field environments. Technology for multi axis and multi point excitation us crucial in pursuing â&#x20AC;&#x2DC;test realismâ&#x20AC;&#x2122;. In terms of accurate vibration waveform reproduction, electrodynamic vibration test systems have far greater benefits. IMV corporation has been leading the testing industry for over 50 years as a world leading supplier of single axi and multi axis electrodynamic shaker solutions. Intrepid Control Systems (ICS) is a privately held company located in suburban Detroit, Michigan. ICS focuses on providing high technology computer software and hardware services and products. ICS was founded on July 8, 1994. Since then, ICS has completed numerous engineering projects and has developed and is marketing many products. ICS was legally incorporated in the State of Michigan on June 18, 1996. ICS has developed an impressive client list. Clients range from fortune 100 companies to individual hobbyists. A true international business, ICS has sold its software and hardware products to customers around the globe. IPETRONIK GmbH & Co. KG is one of the world‘s leading suppliers of mobile measurement technology, DAQ software, engineering services, and test bench technology in the automotive industry. IPETRONIK combines technical development, practical application and reliable data processing in an exclusive system. This is how sophisticated tasks in vehicle development and industry can be analyzed and solved with greatest precision. For 25 jears, automotive manufacturers and suppliers have trusted in IPETRONIK’s services. IPETRONIK‘s integrative strategy supported by more than 170 highly motivated employees is continuously improved and directed to provide customer satisfaction. Our Image Flyer gives you a brief overview in products and services of IPETRONIK’s four business divisions. KMT has a high level of experience and well known leader in this fields. The systems are designed for data acquisition, transmitting, storing and analysis of strain, torque, vibrations, force, shock, displacement, temperature and flow under extreme ruff conditions. The size is very small and robust to fulfill a lot requirementsfor mobile applications. Applications in research, test departments and production line of vehicles, racing cars and aircraft as well as aerospace and in the military area.KMT systems exported today world wide. The ME’scopeVES Visual Engineering Series of software packages and options makes it easier for you to observe and analyze noise & vibration problems in machinery and structures using either experimental or analytical data. With ME’scope, you can import or directly acquire multi-channel time or frequency data from a machine or structure, and post-process it. Its industry-leading interactive 3D animation allows you to observe order-related operating deflection shapes from running machinery, resonant vibration and mode shapes from real structures, acoustic shapes, and engineering shapes directly from acquired data. In addition to its photorealistic interactive animated display. METU-BILTIR Center is a research and application center with 11 multi-disciplinary units working for the ultimate goal of providing a bridge between University and Industry in a widely-ranging fields from vehicle safety and intelligent transportation systems to unmanned vehicles and from forging process to rapid prototyping technology. METU-BILTIR Center Vehicle Safety Unit is established in 2009 with the mission of providing facilities for the vehicle safety tests and R&D capabilities to reach “zero death in traffic accidents” that is global automotive industries’ target. Areas of expertise are to conduct tests according to the international regulations and directives, provide support to Automotive OEMs and Supplier Industries through R&D projects and vehicle safety tests, conduct projects in collaboration with industry and academic studies through graduate studies and research supported by national and international bodies. Pioneering Technology and Unmatched Expertise Measurement. Accuracy. Certainty. These concepts allow engineers in research, product development and manufacturing to turn mere ideas into tangible, working results. MTS Systems Corporation is dedicated to making this transformation faster, easier and more successful. Since 1966, we have worked side-by-side with engineers in a wide range of industries to solve complex challenges. Today, our high-performance testing and sensing solutions are deployed around the world, enabling precise control of forces and motions as well as real-time feedback that optimizes performance. But our technology is only half the story. Our team brings unparalleled expertise to every engagement. With more than four decades of real-world experience, we are uniquely equipped to help our customers adapt to change, anticipate new requirements and take on even the most difficult tasks with speed and confidence. With over 350 highly qualified staff, Müller BBM is one of the leading engineering companies for consultancy services, testing and planning in all fields of acoustics, building physics and environmental protection. We examine the effects of sound, vibration, heat, humidity, odours and harmful substances, in addition to the effect of electromagnetic waves on humans, on machinery and on the environment. We quantify, evaluate, and shape these effects, offering you complete one-stop solutions. Müller-BBM is represented throughout Germany in 11 locations, in virtually every federal state, as well as in Austria and Switzerland. OTEST A.Ş. is founded in METU-TEKNOKENT in 2010 to provide R&D projects for Automotive and Transportation Industries and vehicle safety test services. By playing an important role as a bridge between University and Industry, OTEST A.Ş. has conducted several R&D Projects for Automotive industry. With its experienced test engineers, OTEST A.Ş. also provides test services for the automotive industry in the fields of occupant safety, seat and restraint systems, seatbelts, pedestrian safety, road ambulances and medical devices in collaboration with METU-BILTIR Center Vehicle Safety Unit. Being one of the major automotive manufacturers in Turkey, Otokar has been providing solutions to its customers both in commercial and military range since 1963. Otokar gets its power from using its own technology and design capabilities. Flexible manufacturing in order to meet the customers’ special requirements is another big asset. A Koc Group company Otokar operates with its nearly 1200 employees in a 552.000 m² plant in Sakarya. OxTS designs and manufactures world leading products combining the best of Inertial Navigation and GPS/GNSS. We focus on low-cost INS using MEMS gyros and precision accelerometers. Our Kalman filter extracts the maximum information from GPS to deliver high accuracy measurements and low drift rates. We are dedicated to designing simple-to-use products that deliver reliable results and we back it up with first class service and support. SENSOR Teknolojileri Ltd. Şti. has been authorized representative activities of HBM company in Turkey since May 2005. Our company has been working in the fields of industrial measurements and weighing Technologies. In addition to meet your HBM products needs, we also serve mechanical, electrical and software issues. In HBM’s product range, there are suitable models to be used in laboratory and calibration centers besides industrial type of products. All of HBM products are preferred worldwide thanks to trust, quality, precision and durability features. We are happy to assist you in accordance with your demands. We at Tekscan are committed to delivering the most advanced thin-film tactile pressure and force sensors, systems, and enabling electronics in the world. These sensors will be accurate, simple to use, and cost effective. And we dedicate ourselves to offering the best possible service in identifying and meeting our customers’ needs and to delivering solutions of the highest quality and value. Vector provides OEMs, and suppliers of automotive and related industries, a professional and open development platform of tools, software components and services for creating embedded systems. The Vector Group had 1.260 employees in 2013 and reached a turnover of 219 million Euros. ou’re not happy, we’ll take it back. Vibration Research (VR) designs and manufactures vibration control systems for electrodynamic and servohydraulic shakers. Since 1995 Vibration Research has become a pioneer in the industry and a leader in the field of vibration control. Advanced hardware capabilities combined with powerful user friendly software make Vibration Research controllers the premier choice of testing labs around the globe. VPG is an internationally recognized designer, manufacturer and marketer of resistive foil technology, sensors, and sensor-based systems to niche, industrial applications. Our products, systems and solutions are marketed under a variety of brand names that have a very high level of precision and quality. Our vision is to be the leading provider of foil components, sensors, and sensor-based systems with the highest precision, quality, and service for measuring force (weight, pressure, torque, acceleration) and current. Our strategy is to achieve corporate growth and shareholder value by expanding our existing product portfolio, as well as by acquiring complementary technology products. Calibration engineers just got a head-start. & Windows integration • Drag & drop capabilities to quickly load into Microsoft Ofﬁce • Rack mountable • Ethernet connection • User-editable templates • Highly presentable & sophisticated reporting • Simple & advanced menu options Plus, we back our work with a 100% guarantee of satisfaction—if you’re not happy, we’ll take it back. 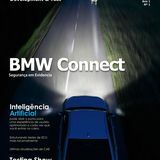 Automotive publisher "Automaker" special edition for Automotive Testing Show Turkey, testing guide, and development suppliers.